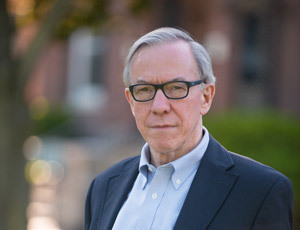 The author describes his background, characteristics of the people who need this information, and two key lessons he learned from the stories of his patients: many individuals with addiction cannot expect lasting recovery unless they consistently remain physically distant from drugs and the circumstances of their use and unless they persistently make use of human supports. The author extends an invitation to recovery to anyone actively addicted to take action and allow recovery to happen. Explains the neurobiology of behavior. After describing the organ structure of the central nervous system, this article explains that there is more to who you are and more to why you do the things you do than what meets your own mind—because lower centers of the central nervous system can, and routinely do, act independently of higher centers. The feeling brain (brain stem and limbic system) gives rise to much human behavior—and that behavior may proceed without the consent, or often even the knowledge, of the thinking brain (cerebral cortex). Explains the neurobiology of addiction—how drugs change the brain and change behavior for the worse. After describing the cellular structure and function of the brain and the role of neurotransmitters, this article describes how addictive substances manipulate the neurotransmission process and reinforce their own use by stimulating the reward pathway. Once addiction is established, the individual may not even enjoy substance use but is driven to keep using, partly to avoid unpleasant withdrawal symptoms. With addiction, the executive brain (prefrontal cortex) places a higher value on more drug intake than it does on conventional rewards such as family, career, and personal safety. The neurobiology of behavior plus the neurobiology of addiction represents the neurobiology of powerlessness. 4. The Two Pillars of Recovery®: You Can’t Trust Yourself — So, Keep Your Distance! Due to the nature of addiction (neurobiology of powerlessness), you can’t rely on your talent or good intentions to keep you sober. This article presents the practical implications of articles 2 and 3—to stay sober you must take deliberate action to avoid or manage situations that will trigger substance use. The article highlights specific dangers and ways to cope with them. Reinforces practical wisdom with case examples. Continues the discussion begun in article 4 and lists principles to follow to remain sober. Identifies attitudes that can make or break a recovery effort. Presents a model for thinking about craving and relapse that clarifies the responsibilities of the person seeking recovery. Explains the neurobiology of recovery—how positive interpersonal relationships change the brain and change behavior for the better. New research shows feelings derived from past and present relationships are central to our sense of self and underlie much human behavior. Our behavior becomes more adaptive and less self-defeating when we integrate our emotional past and our feelings with our conscious selves. It is never too late to engage in relationships with people who accept us as we are, which allows us to feel better about ourselves and become more adaptive—more resilient—in our lives. 7. The Two Pillars of Recovery®: You Can’t Do It Alone — So, Ask For Help! Presents the practical implications of the neurobiology of recovery described in article 6—avoid toxic relationships and continuously engage in relationships characterized by honesty and mutual respect. It is normal to have difficulty asking for help, but crucial to overcome that resistance. Find at least one empathic other human being and tell your story with authenticity.